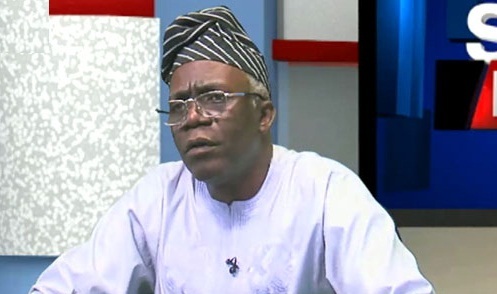 Human rights lawyer, Femi Falana (SAN) condemned the rate of poverty and unemployment in the country, despite the existence of billionaire Christian leaders. Falana at the ongoing Lagos Book and Arts Festival (LABAF) holding in Freedom Park, Lagos, took a swipe at Nigerian pastors, accusing them of milking their congregants. The legal luminary wondered how most of them lived in so much affluence but failed to give back to the society. He also mocked General Overseer of Redeemed Christian Church of God, Pastor Enoch Adeboye, for saying RCCG will have as many branches as possible. Falana lambasted Adeboye and other clerics who prefer to increase branches, instead of focusing on other institutions like schools and hospitals. His words: “Most of the richest pastors in the world are from Nigeria, yet our people are getting poorer. “If many of us had not attended mission schools built by the Catholics and the Anglicans…but what are we building now? What are our churches giving us? Recall that Cardinal Anthony Olubunmi Okogie recently criticised Adeboye’s comment, stating that there is no Godliness in increasing church branches. “I heard that one of my colleagues, (Pastor Enoch) Adeboye, said that he would love to build churches everywhere so as to make it easy for worshippers to walk to them. “But for me, that is a useless statement. How can you say you will build churches everywhere? What kind of churches are you talking about? “Look at traffic in Lagos for example, and those who are pastors are traders and a good number of them are business men. Such churches in most cases are more like business houses!